Fans of Pusheen can now keep track of pens and pencils with their favorite cat! This durable stoneware container features Pusheen doodling in her notebook and is the perfect size to hold pens and pencils, or trinkets and jewelry. 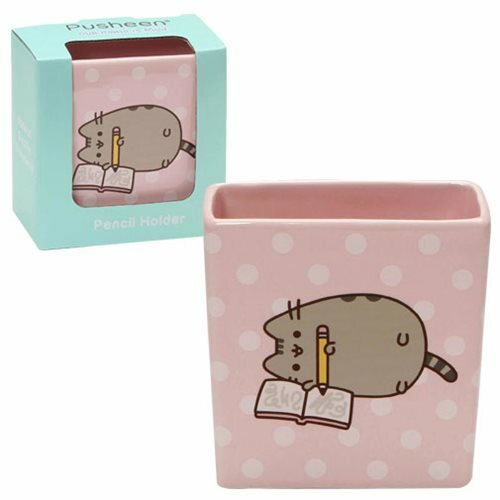 The Pusheen the Cat Pencil Holder comes packaged in a decorative giftbox! Measures about 4-inches long x 4-inches tall x 2 1/4-inches tall.